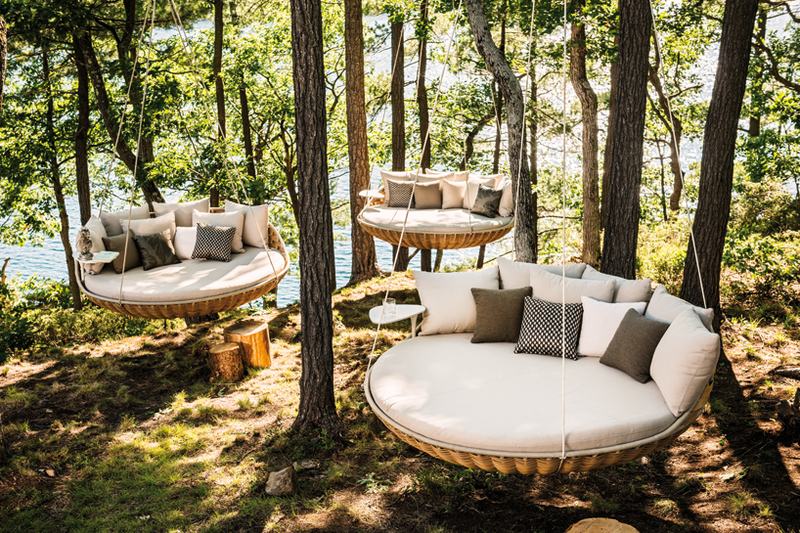 dedon is a premier brand that has been handcrafting outdoor furniture, woven by its master weavers and subjected to 12 rigorous quality assurance checks along the way – from fiber to final product – which is an expression of its obsession with creating the best. 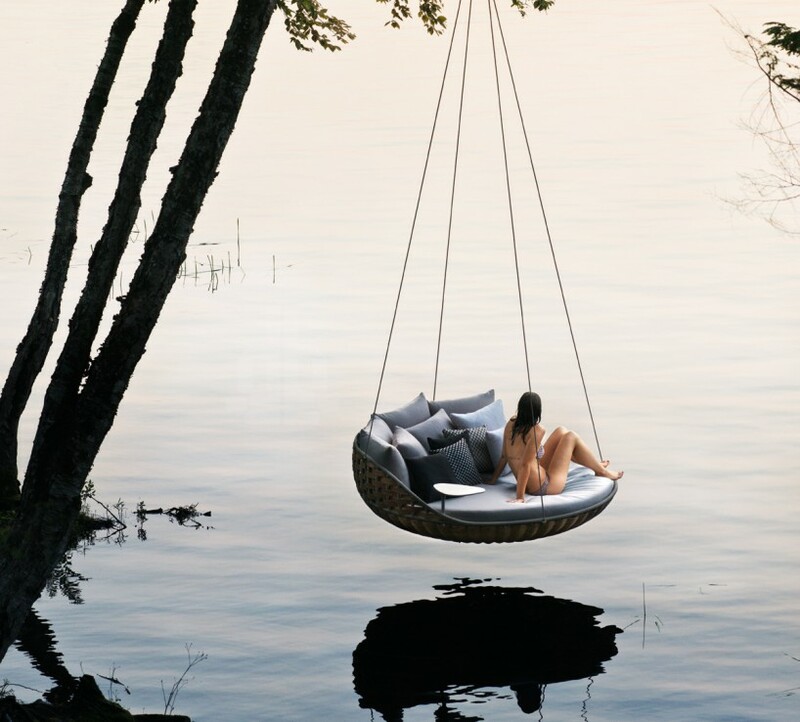 borrowing a basket-like aesthetic from ‘nestrest’, french designer daniel pouzet has presented his latest hanging lounge chair for brand dedon. 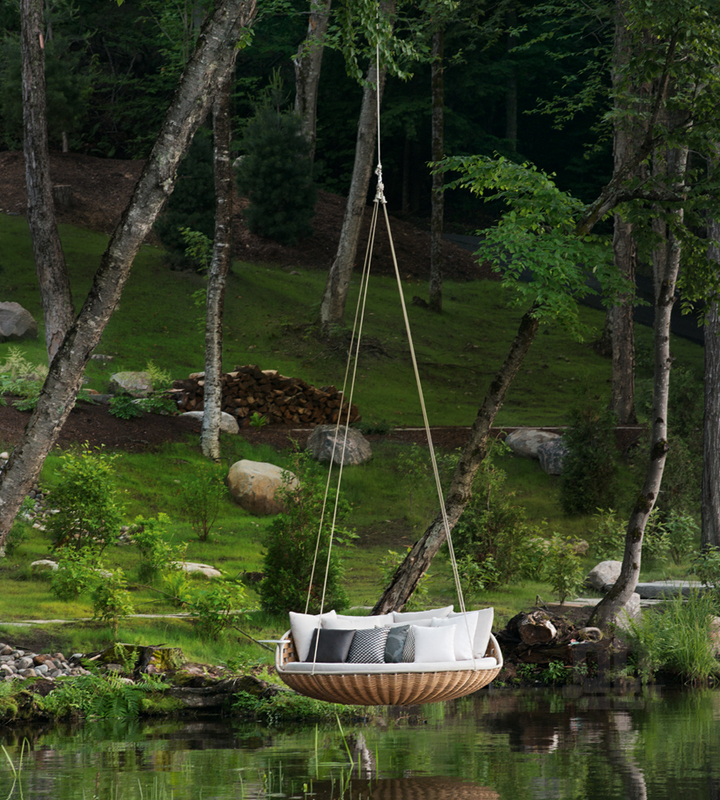 entitled ‘swingrest’, the outdoor furniture piece draws reference from the high ceilings of dedon’s outdoor living lab island resort in siargao, philippines, providing a tranquil space for hanging over the lake or relaxing on the terrace. 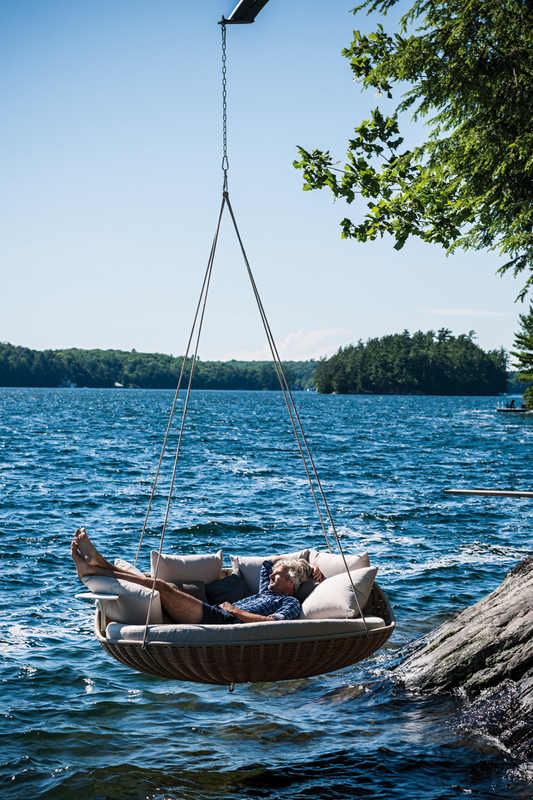 featuring a unique suspension system for stability, the lounger also incorporates a 180° rotating tabletop and special cord that wraps around its exposed tubing. the ‘swingrest’ comes available in a natural colored weave, with an optional fabric curtain for added shade and privacy. 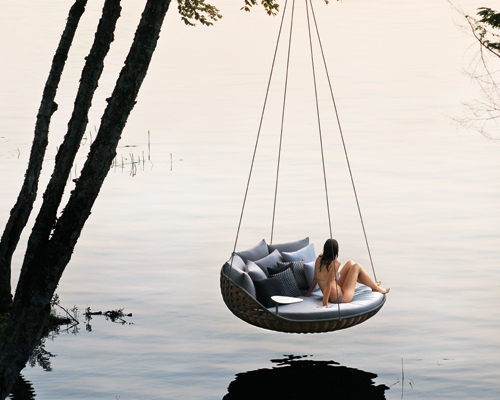 Us ‘mildly touched’ folks like swings… this is very attractive to me! inviting … but when over a lake, how do you get in? how do I purchase one of these ? I am extremely interested!